With the weather cooling down it's time to dig out your warm clothing and gear up for winter. 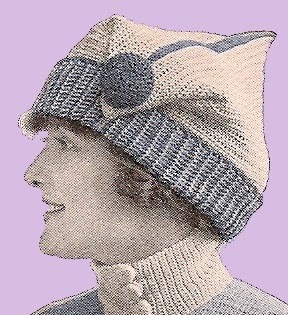 This time of year is perfect for rebooting your winter wardrobe and adding a new warm hat or two. This easy crochet pattern is an oldie but a goodie. I love the quirkiness of the design! This hat comes together so quickly that you could make a couple for yourself and some for gifts in no time! 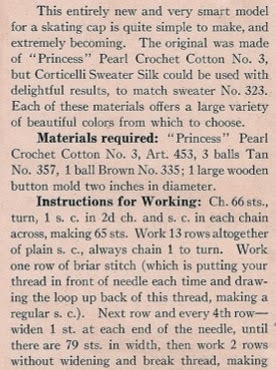 Hope you enjoy this free vintage crochet pattern!